This Southwest Florida city is tucked beneath a thick oak and pine canopy. North Port is rich with archeological history and beautiful nature-scapes. Natural springs and more than 80 miles of freshwater canals are found in this up-and-coming area. 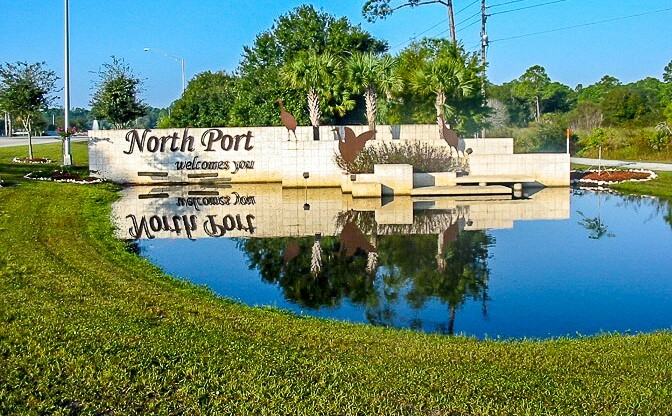 North Port is convenient to all that Southwest Florida has to offer. 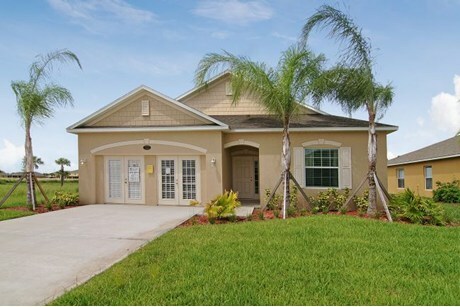 Our scattered lot community is less than a half hour to Sarasota and only about an hour to Ft. Meyers. Blue ways grace the City of North Port. There is an abundance of canoeing and kayaking opportunities with nearly 80 miles of freshwater canals, nine miles of the Myakkahatchee Creek, and a portion of the lower Myakka River. Motorized boats are able to launch from Marina Park. North Port also is ideal for fishing with plenty of freshwater and salt water varieties. Nearby, you can relax at Warm Mineral Springs in North Port. Warm Mineral Springs is considered a health spa, visited by thousands of people seeking the warm soothing mineral waters believed to be helpful in healing many ailments. Choosy about where you want to live? A scattered lot community might be the best option for you. Scattered lot means that Maronda Homes owns numerous lots all around the area for you to build on. Unlike traditional new construction communities, where a builder will build a few streets at once, these lots are typically in different areas and on different streets. This allows you to choose who your neighbors will be. Typically our scattered lot communities are in established areas with mature trees, neighborhood landscaping in place, neighbors already living around you and an existing community vibe. If we dont have a lot you love, you are welcome to provide your own lot and we would be happy to build you a great home in North Port. Scatter lot communities allow our buyer’s to have more control over where they want to build their new home and they also help keep costs down. 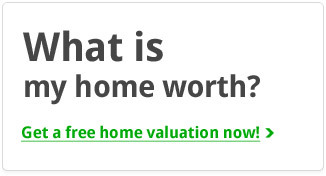 Best of all there are no HOA fees or CDD fees, meaning your monthly payment will be more affordable. 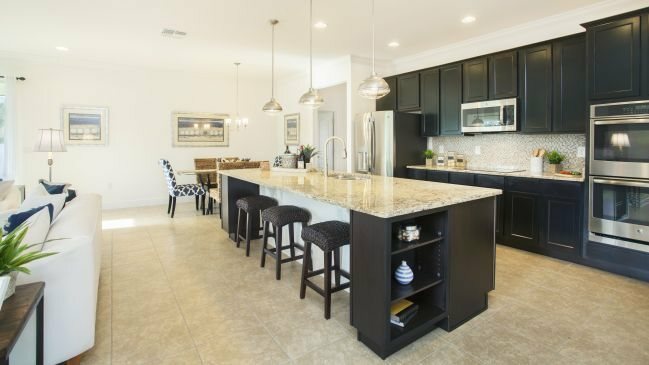 North Port offers everything you would expect in a community from great schools and hospitals to fine dining, shopping, entertainment, recreation and more. Mineral Sprint North Port South West Florida North Port is famous for their Warm Mineral Springs state park, while most tourists head for Florida’s stunning beaches, others come to soak in the healing waters of Warm Mineral Springs, which many believe to be the fabled Fountain of Youth sought by Ponce de Leon. The spring outputs more than 9 million gallons of warm mineral water flowing daily. These mineral waters have a year round temperature of 87 degrees and offer the richest known density (51 minerals) of minerals of any known spring in the world. It is the perfect place for relaxing swimming and soaking! The spring is surrounded by a park where you will find a café for food and drink. Some areas are also available to organize weddings, banquets or any other gatherings. There are also several golf course communities including, Heron Creek, Sabal Trace and Bobcat Trail. 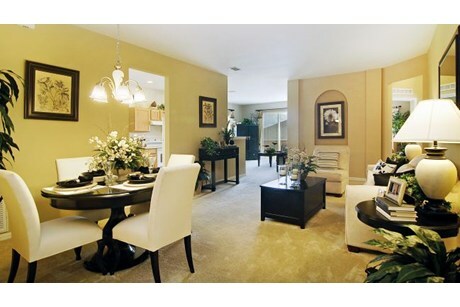 These neighborhoods have single family homes, condominiums, and maintenance free villas. New homes and condos are currently under construction or are already built factually everywhere in North Port. Home prices in many neighborhoods are considered “affordable”. 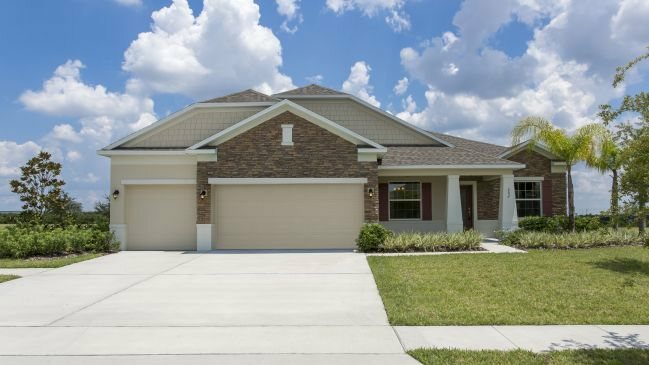 As you drive through the community, you will see model homes with prices starting below $150,000. 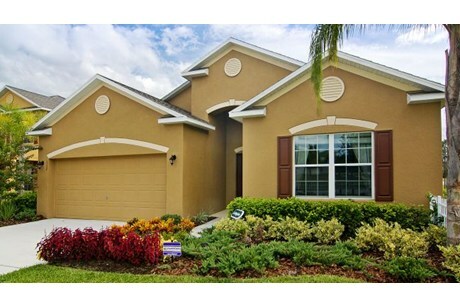 This makes North Port an ideal location for first time home buyers, or anyone looking for a great deal. North Port is located at 27°03′58″N 82°10′19″W. According to the United States Census Bureau, the city has a total area of 75.5 square miles (196 km2), of which 74.8 square miles (194 km2) is land and 0.8 square miles (2.1 km2) (1.02%) is water. This inspiring 2 story home features a large open floor plan. As you enter the home you will be greeted with a 2 story foyer, open flex space and a large inviting family room. 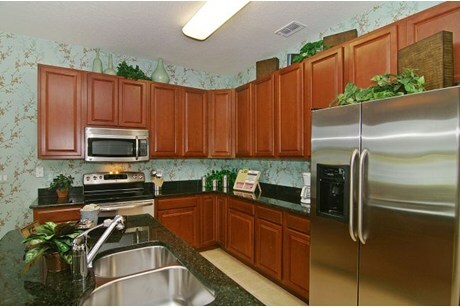 The kitchen is a gourmet paradise and features an optional work island and plenty of cabinet and counter space. While a light-filled dinette makes the perfect setting for an informal dining area. You can also add a first-floor master suite which features a private bath. Upstairs are four spacious bedrooms and loft with the option to add 2 additional bedrooms and private bath. The second floor also offers a coveted second floor laundry room. The hall bath features a double-bowl vanity. The Owner’s Bedroom is set off from the loft for privacy and leads to a stunning suite featuring a large walk-in closet and owner’s bath with oversized shower and optional soaking tub with dual vanities. Welcome to the Carlisle Single Family Home Design by Maronda Homes. 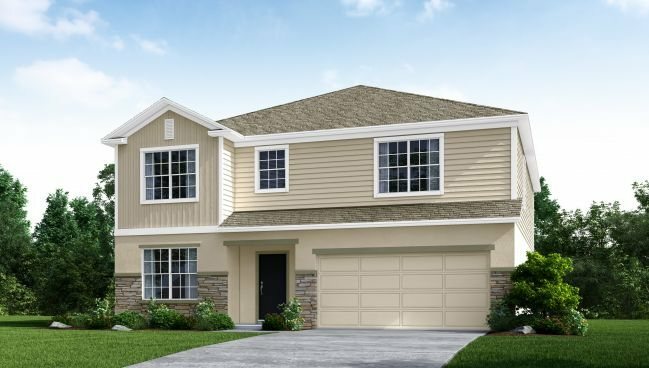 Engineered for comfortable and efficient living, The Carlisle floor plan features at least 2,797 square feet of finished living space. 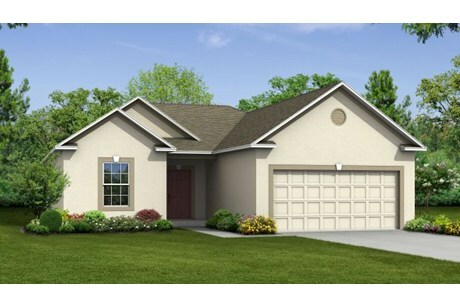 The Carlisle floor plan has 4 Bedrooms and 2 Full Baths that act as the starting point for your home design. With an outstanding flow throughout this home makes it easy to get around, from the garage to the kitchen into the great room or around to the flex space, and so on. Storage solutions include walk-in closets for every bedroom except one and a walk-in pantry for the kitchen. The second floor has 4 bedrooms with an option to add loft, including a master suite that features a bath with dual vanities, shower with a seat, and a huge walk-in closet. Don’t miss the convenient location of the laundry room upstairs. 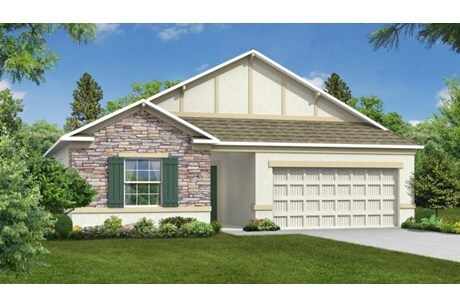 Casual, yet elegant this dazzling four-bedroom Sierra Floor Plan provides it all.. As you enter the home the impressive dining room and flex space will give you options for all your needs. The openness of the great room leads you to an elegant kitchen with space to entertain and relax. The home promotes a cozy and casual atmosphere ideal for family fun and entertainment. A large master suite secluded on one side of the house includes wonderful walk in closet, and deluxe bathroom suite. Not only is the home made for the owner it also boast 3 more bedrooms and 2 baths for a large family or your casual guest. Don’t miss your seeing your future home, schedule an appointment today. This traditional 1 story plan has elements for the whole family that make it an appealing addition to any community. An open concept split plan, it has three to four bedrooms, including a beautiful master suite. 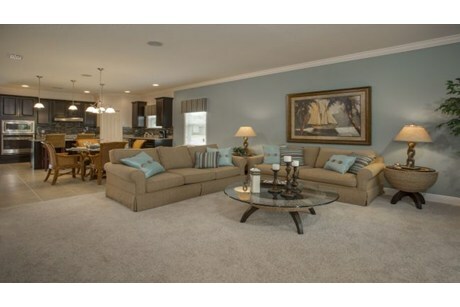 Other amenities include spacious living space including a family room, living room, dining room and beautiful kitchen. This attractive plan is loaded with distinctive features that will wow your guest and turn this house into a home. Practical, yet beautiful…here is the newest look in a great family home. The graceful front porch and formal entryway adds a touch of class to this great looking family home. Even in this modest floor area, you will find hours of enjoyment in the main floor family room just off the kitchen. 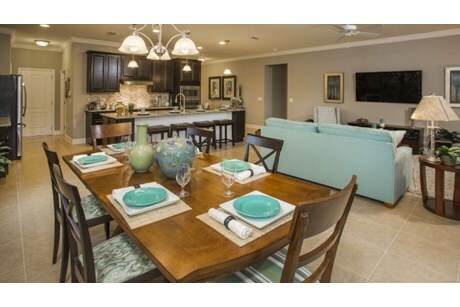 The fully equipped kitchen offers a large kitchen island and nook area. The master suite offers a large walk-in closet and full bath. Two auxiliary bedrooms can also be found with a second full bathroom at the rear of the home. There is even a flex space at the front of this home that would be a perfect home office, formal living or dining room or even optional fourth bedroom. 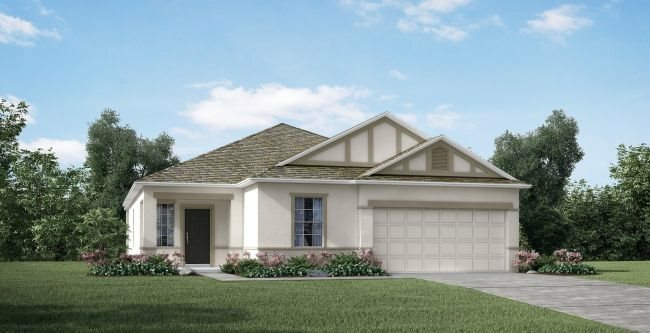 The subtle elegances of the optional shuttered front and stone front provide a touch of class to this Floridian-style home. Walking into the home you understand that an open floor plan can also offer privacy. The three secondary bedrooms all feature spacious accommodations with endless opportunities. The master suite which is located at the rear of the home boasts private bath, dual vanity, and a separate tub and shower and perfectly placed linen closet. The flow of the homes is perfectly balanced, the great room and kitchen is an exceptional use of space to entertain while the rest of the home provides privacy. The home is a well designed for any size family and is perfect for yours. This stunning home makes extraordinary use of modest square footage. 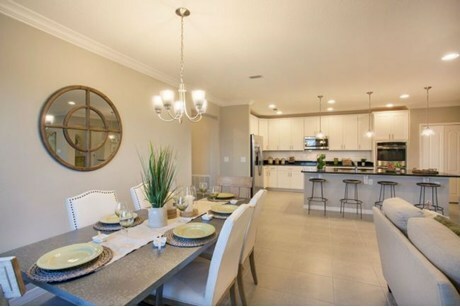 The spacious kitchen and family room serve as the heart of the home. Tucked away at the rear of the home for privacy, the master suite dazzles with a walk-in closet, and private bathroom oasis. Towards the front of the home, two large family bedrooms share a bathroom with the laundry room being conveniently placed nearby. Flex space provides room for that office, den or family growth. This home has all the amenities of a larger home at a fraction of the cost. This nice floor plan flows from the cozy spare bedrooms back to the open kitchen and dining area. These combined areas make this smaller footprint home feel so much larger, which is great for someone downsizing or just starting their family. In this split bedroom layout, the spacious master with separate bath and large walk in closest are located across the living area from the two additional bedrooms and bath. This award winning single story home is the picture of enchantment. The plan begins with a stylish optional columned lanai and elegant optional stone front, which leads to a spacious foyer and hall that opens to all areas. An open floor plan leads you to endless possibilities with a spacious great room that also boast the dining area and kitchen. The bedrooms are located on the same side of the home with the master suite upgrading your living experience with a large bathroom and walk in closest. The home offers multiply flex space which can be used as offices or even to add a bedroom. This home is perfect for a growing family or a family that is looking for that perfect livable home. This modest three to four bedroom home offers the charm of a decorative masonry finish and beautiful optional stone front and all the comforts of a true family home.. Upon entry, the foyer guides you back the home past the 2nd and 3rd bathrooms and leads you into the open floor living space. Continue to the island kitchen that offers an eating bar for fun, casual meals. A breakfast nook is a great place to take in the morning sun. The great room is inviting and open, with a flex space that can be an office or a room of your dreams. The master suite grants homeowners a lavish spa bath and walk in closet. Truly making the home functional for any size family. 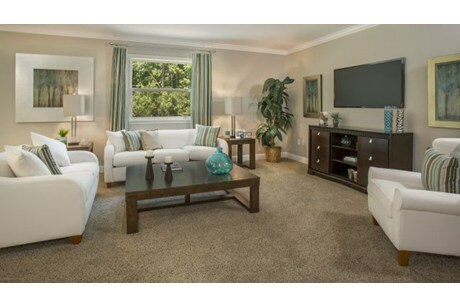 Meet the Ashton, a smart single story floor plan that is sure to please. Before you enter the Ashton, you are greeted by a covered front porch. Inside the home, the first thing Ashton offers is a formal foyer. Off the foyer there is a flex space that can be left open to the great room or can be closed in with double doors to make a den. The great room is completely open to the kitchen with its large center island and large 14×11 patio that can be covered as a lanai. The split floor plan offers separation between the master bedroom and the other 2 bedrooms. The master suite offers a private master bath and large walk-in closet. The laundry room features cabinetry for storage and organization and a pass through to the spacious 2 car with workshop or 3 car garage. All these features are found in a home that can fit on numerous lot sizes. The Memphis is a quaint, livable, and smart plan to meet any family’s needs. A covered porch leads you to the foyer, which take you to the heart of the home. The middle of the home would be the gathering area featuring a great room, breakfast nook and perfectly placed kitchen. The Secondary bedrooms layout make the rooms appear to be larger and also share a bath. The master suite, split to the rear, is pampered with a walk-in closet and amenity-filled bath. If you’re looking for your first home or looking to downsize the Memphis gives amenities the will suit your needs. This nice floor plan flows from the cozy spare bedrooms back to the open kitchen and dining area.. These combined areas make this smaller footprint home feel so much larger, which is great for someone downsizing or just starting their family. In this split bedroom layout, the spacious master with separate bath and large walk in closest are located across the living area from the two additional bedrooms and bath. If you are looking for a better home of your dream don’t give a second thought to contact us. With our professional experience real estate associates and our expertise we can help you to build your dream and make it happen. 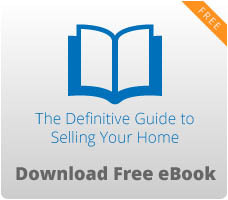 Learn more, decide very soon and let us know at Medway Realty (941-929-4223).